What Makes Jewellery Designed by Sevan Different? The history of jewellery is very old. Over all these years, jewellery has become true art, but only when it is produced by true professionals and specialists in this field. The fact is that there are hundreds of retail stores that sell different types of jewellery. In addition, thanks to the advance of technology, people can now buy jewellery online from dozens of online stores. So, it is quite logical to ask why someone would choose Sevan jewellery. Well, the fact is that jewellery designed by Sevan is different than the others. To start with, Sevan produces custom pieces of jewellery. This is actually quite logical since every individual is different. We are unique and each of us has different preferences. The possibility to purchase custom jewellery is especially useful for those interested in engagement rings. This type of ring is something special and it is always a good idea to buy something that is made especially for you (and your partner). All you need is a basic idea about the look of the ring and the experts from this studio will materialise your idea in a short period of time. Another thing that makes Sevan special is the fact that this jewellery studio works with GIA-certified diamonds. In other words, when you are buying pieces of jewellery featuring diamonds from Sevan, you can rest assured that you are buying authentic diamonds. GIA is the highest authority when it comes to determining the grade and quality of diamonds in the world. With Sevan jewellery you know what you are paying for and how valuable the ring is. Sevan jewellery designing studio is managed by Sevan Tosun – a craftsman that belongs to a family of jewellers. He is actually a member of the 3rd generation of jewellers. This is certainly something that you can’t find often these days. The fact that the main artist has spent his entire life with jewellery and diamonds says a lot about the quality you can expect. Furthermore, people who are looking for engagement rings should know that this jewellery studio is focused on the creation of unique engagement rings. This experience and specialisation give Sevan advantage over other studios that usually work with all kind of products. As we have already mentioned, Sevan uses high-quality diamonds in most of their rings. The process of ordering and creation of these rings starts with a consultation with the designer himself. Sevan tries to learn more about the couple and their expectations from the ring and based on their ideas, he is able to create the perfect engagement ring. What makes Sevan studio different from the others is the friendly support. Unlike huge studios or retailers and most online stores, Sevan is focused on building strong relationships with the customers and makes sure that all customers get appropriate answers to their questions. 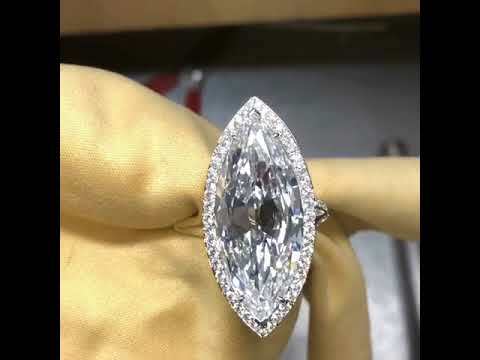 If we take all these things into consideration, it is no surprise why so many people believe that design by Sevan is the best place to buy engagement ring Toronto!